On top of that, Kelley Blue Book has praised the Sienna for including all-wheel drive as an available feature. 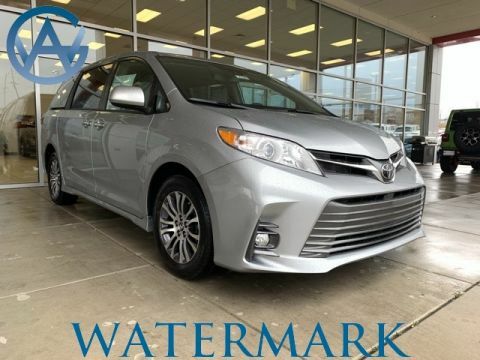 And with the Sienna’s sunroof, you can let light into the expansive cabin while you’re running errands in Bowling Green. 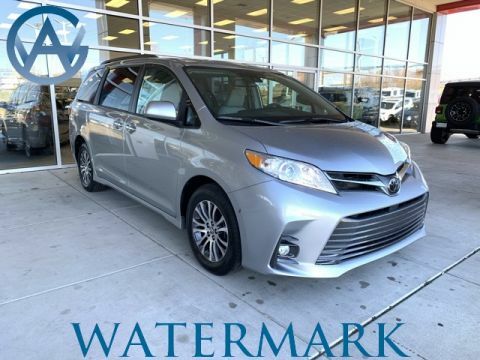 Explore Watermark Toyota’s selection of new Sienna vehicles equipped with a sunroof today! Sienna XLE 8 Passenger, 3.5L V6, Celestial Silver Metallic, Ash Leather, Watermark's Warranty Forever, Bluetooth Connection, Push Button Start, 17" Alloy Wheels, 4-Corner/Back Clearance & Back Sonar, Auto High-beam Headlights, Automatic temperature control, Blind spot sensor: Blind Spot Monitor (BSM) warning, Electronic Stability Control, Exterior Parking Camera Rear, Four Season Floor Liner/Mat Package, Power Liftgate, Power moonroof, Radio: Entune 3.0 JBL Premium Audio, Steering wheel mounted audio controls, XLE Navigation Package. 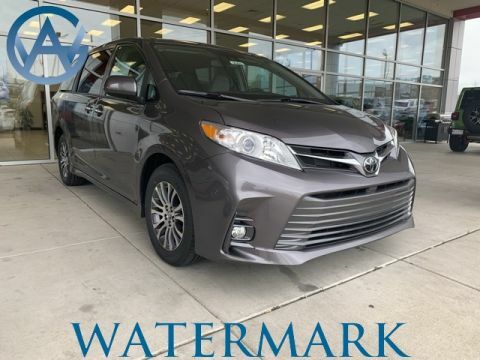 2019 Toyota Sienna XLE The Watermark Warranty Forever is valid for as long as you own the vehicle & for an unlimited time, unlimited miles. How much is it? Zero. We're building "Customers for Life" so the Watermark Warranty Forever comes standard with every qualifying vehicle meeting the criteria and is included at no extra charge. There are no catches, hidden fees, or gimmicks. Our dealership provides this product as an added value to our Customers for doing business with us. Sienna XLE 8 Passenger, 3.5L V6, Celestial Silver Metallic, Ash Leather, Watermark's Warranty Forever, 17" Alloy Wheels, 3rd row seats, 4-Corner/Back Clearance & Back Sonar, Auto High-beam Headlights, Blind spot sensor: Blind Spot Monitor (BSM) warning, Distance pacing cruise control: Dynamic Radar Cruise Control (DRCC), Electronic Stability Control, Exterior Parking Camera Rear, Four Season Floor Liner/Mat Package, HomeLink, Power Liftgate, Radio: Entune 3.0 Audio Plus, Steering wheel mounted audio controls, Traction control, XLE Navigation Package. 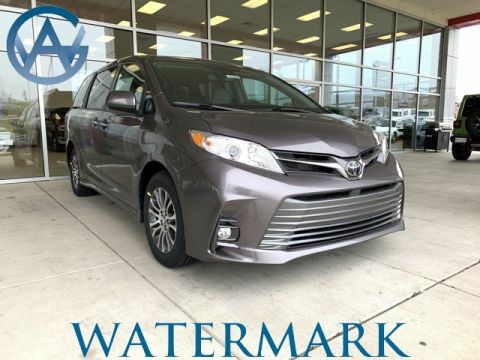 2019 Toyota Sienna XLE The Watermark Warranty Forever is valid for as long as you own the vehicle & for an unlimited time, unlimited miles. How much is it? Zero. We're building "Customers for Life" so the Watermark Warranty Forever comes standard with every qualifying vehicle meeting the criteria and is included at no extra charge. There are no catches, hidden fees, or gimmicks. Our dealership provides this product as an added value to our Customers for doing business with us. Sienna XLE 8 Passenger, 3.5L V6, Celestial Silver Metallic, Ash Leather, 17" Alloy Wheels, 3rd row seats: split-bench, Auto High-beam Headlights, Automatic temperature control, Blind spot sensor: Blind Spot Monitor (BSM) warning, Exterior Parking Camera Rear, Power driver seat, Power Liftgate, Power moonroof, Steering wheel mounted audio controls. 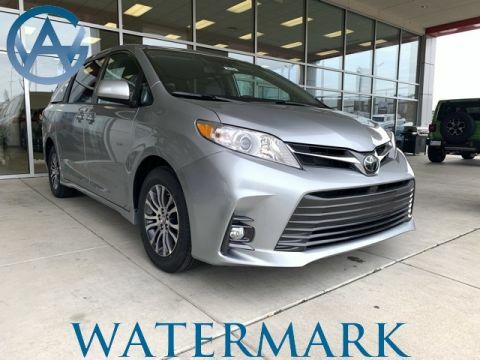 2019 Toyota Sienna XLE The Watermark Warranty Forever is valid for as long as you own the vehicle & for an unlimited time, unlimited miles. How much is it? Zero. We're building "Customers for Life" so the Watermark Warranty Forever comes standard with every qualifying vehicle meeting the criteria and is included at no extra charge. There are no catches, hidden fees, or gimmicks. Our dealership provides this product as an added value to our Customers for doing business with us. 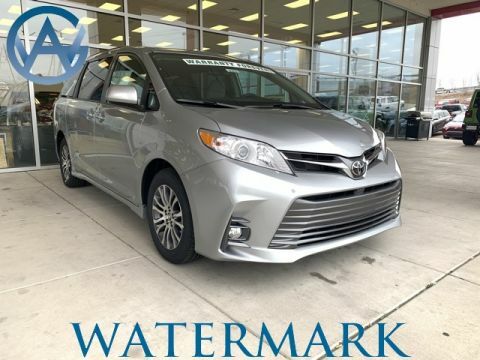 Why Buy a New Sienna with Sunroof from Watermark Toyota? Before you arrive at our showroom at 1055 Crossing Place in Madisonville, KY, be sure to apply for financing online. 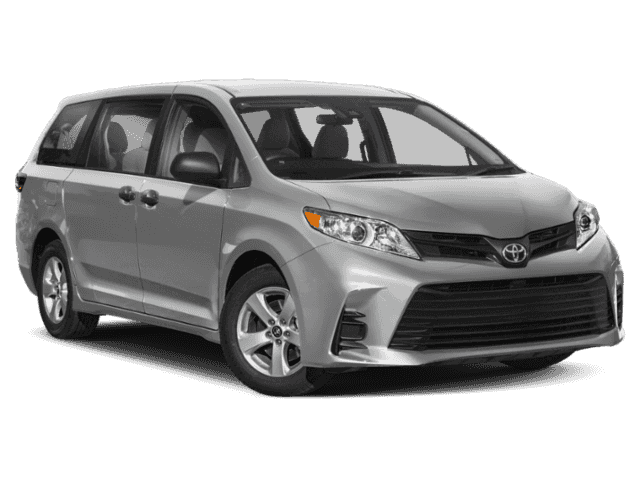 If you’d like to make sure the Sienna can handle the needs of your whole family, schedule a test drive.